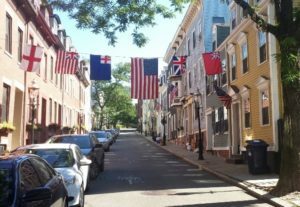 Come tour some of Charlestown’s wonderful historic houses. Get a discount on your tour ticket when you join CPS or renew your membership. Tickets can be bought online at www.charlestownpreservation.org or they can also be purchased at Bunker Hill Florist, or at the Charlestown offices of Hammond Residential Real Estate our Official Sponsor, or Coldwell Banker Residential Brokerage our Gold Sponsor.